We went to Hong Kong and these are a few things we did when we were there. Known for their scrambled eggs, we visited this place for supper one night as we had to try them for ourselves. At affordable prices, you can get one of Hong Kong’s standard breakfast here – scrambled eggs with toast, and macaroni with ham. As we visited at around 8pm, we did not have to queue and got a seat immediately. However, we had to share a really small table with another 2 visitors. Without a doubt, this place serves the best scrambled eggs we had in Hong Kong. Read more about our visit here. 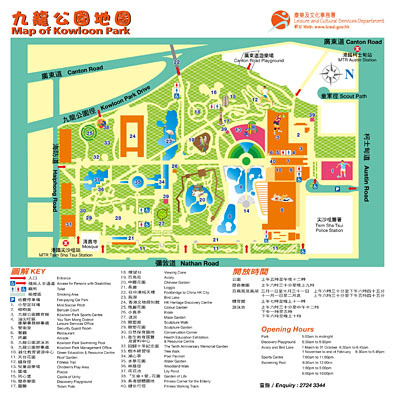 Kowloon park is one of the popular parks in Hong Kong (probably like our East Coast Park, but a lot less crowded). When we visited, there were many locals here, some were exercising and some were just relaxing. This place isn’t your typical park with lots of trees, it actually has many photogenic spots and some mini attractions. There are many outdoor facilities like a garden maze, sculpture walk (left), fitness trail, fountains (right), and many more here. Unfortunately for us, it started raining when we were halfway through this market. Despite the sudden rain, we managed to get a few good buys at this market. Some of which were key chain souveniers – we got a few sets of 6 for HK$50 (SG$9) each, and the more you buy, the more you can bargain! I also got a small painting of the Hong Kong city, which I always get for my grandfather when I go overseas, for HK$40 (SG$7.30). There were many other items being sold there like toys, fidget spinners, cute lighters, and bags. Also, there are a few zi char stalls and restaurants behind the stalls (the zi char stalls were especially crowded). Previous The Peranakan @ Claymore: Durian Feast? Yes Please.